A child's brain is still developing, so a head injury can be more serious than you think. The Dayton Children's concussion management pediatric-trained team is experienced in treating children and teenagers with mild to severe head injuries. Our team of highly experienced pediatric sports medicine physicians, physical therapists, rehabilitation specialists, neurologists, and neurosurgeons provide the very best care to patients who have sustained a head injury during activity. Our experts know that even what seems to be a minor head injury can cause serious changes in the brain. It can be difficult to determine the severity of a concussion, especially in the first several hours after injury. It is essential to know the facts associated with a concussion and the best possible care after an injury. The below steps outline what to expect and give you the tools to progress into recovery. Please remember that this information is just a small part of concussion management and should not be substituted for the care and treatment of a physician. A concussion is an injury to the brain which affects how it works. Common symptoms are headache, dizziness, trou­ble concentrating, feeling tired, and feeling foggy. Like all injuries, rest helps healing. Once healed, a gradual return back to normal activities is important to avoid repeat injury or making the injury worse. The below information includes a basic outline of the steps your child may go through when returning to normal life after a concussion. Each plan is slightly different and based on your child’s indi­vidual needs. The team at Dayton Children’s will consider any prior head injuries, medical history, class schedule, specific symptoms, and sports played, then design a plan unique to your child’s needs. Stop all physical, social, and mental activity. This in­cludes sports, school, homework, computer time, video games, tv, texting, reading, listening to music, running errands, driving, or attending events. 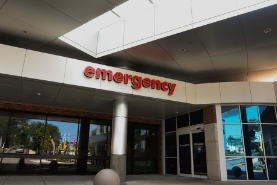 Go to the emergency department for any loss of consciousness, vomiting, or severe symptoms (severe headaches, difficulty waking, extreme confusion, dizziness which causes difficulty standing, etc). Go to the emergency department for any other injuries which occurred with the concussion, such as a laceration or an eye injury. Your child will feel symptoms while resting at home. The brain needs time to heal without letting isolation, anxiety, and boredom take over. More activity slows healing, but can be done under certain circumstances. DO allow up to 1-2 hours of brain activity or social activity per day. You may need to break this up into smaller segments if symptoms get worse. Once your child feels better resting at home, recheck with the doctor. This is the best time to do a computer-based concussion test. This doctor’s visit will guide you in your child’s return to school. If this period lasts longer than 3 weeks, see your doctor to find out if there is anything else you can do to help with recovery. Once your child has no symptoms while resting at home, it is time to start a slow return to school. The concussion team at Dayton Children’s will cus­tomize a return-to-school program for your child. The program will consider medical history, class schedule, time missed, and concussion symptoms. 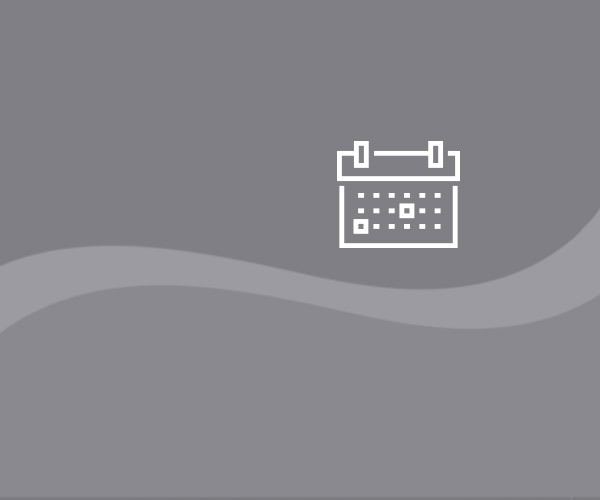 Expect to see school restrictions such as half days only, observation only, no tests or projects, no make-up work due dates, or breaks in a quiet room if needed. Expect to see the doctor about every week during this time to change school restrictions as your child heals. Once your child is able to attend a full day of class and do schoolwork without any concussion symptoms, it is time to add make-up work, tests, and a return-to-sports program. It is safe to start a return to sports once your child feels no symptoms at school and has been cleared by the doctor. Many of these steps can be done with approval of a school athletic trainer, or by phone with your physician. Expect to spend at least 24 hours on each of these steps. If concussion symptoms return, stop for 24 hours, then restart on the previous step when symptoms are gone. Dayton Children’s uses a concussion testing system called Neurocognitive Sports Computerized Cognitive Assessment Tool (CCAT) to help measure the cognitive function of child and teen athletes after suspected concussions or traumatic brain injuries (TBI). why do we use Axon/Cogstate concussion testing? QUICK – Athletes can take a baseline test in eight to 10 minutes, compared to 20-45 minutes other neurocognitive tests, such as ImPact may take. Results are available immediately. EASY TO UNDERSTAND – The test features game-like playing cards which are virtually understood at every age. It's designed with kids in mind. CONVENIENT – No software to download. The test and resulting data are available online and protected using an encrypted password system. why should all athletes get baseline testing? While some sports have a higher risk for concussions, head injuries can happen anytime, anywhere. That's why it's important that all athletes get a baseline test. Each child is unique, therefore having a baseline for your child is much more helpful in managing a concussion, should one occur. Comparing the pre- and post-concussion test scores can help determine when an athlete is ready to return to normal activities. While we can test after an injury, we can only compare athletes of similar age and gender baseline test results. 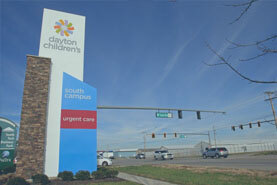 Dayton Children’s offers free baseline testing on a walk-in basis to children ages 10-21. Please call any outpatient testing center or the sports medicine clinic for more information such as hours or best times to come. Unfortunately, we are unable to do baseline testing for children under 10 at this time. Research is currently underway to make sure the test is valid for 7-9 year-olds and we hope to have it available soon. my child has concussion symptoms. can we get a baseline? We do not offer baseline testing to any child who is currently having concussion symptoms- without a doctor evaluation. If your child is having concussion symptoms, please contact your primary care physician or our sports medicine clinic to schedule an evaluation. If symptoms are severe such as vomiting, dizziness, loss of consciousness, go straight to the emergency department. Contact us for more information about FREE baseline testing 937-641-3939. You can also walk-in any of the Dayton Children’s locations below to take a baseline test, no appointment needed. Note: Dayton Children’s only uses baseline tests taken at one of our facilities using the neurocognitive testing tool. Other baseline tests taken at home or with another system will require a re-take test with Neurocognitive. 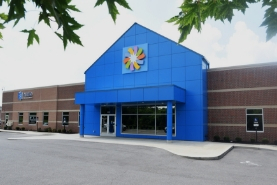 Post concussion testing is only offered with appointment at our two clinic locations: the Dayton Children's main campus and the Outpatient Care Center in Springboro. Please call to make an appointment for post concussion testing 937-641-3939.